Mrs. Audrey M. Krysick, age 81, of Great Valley, New York, formerly of Summit Street, Salamanca, New York died Wednesday, August 5, 2015 at The Absolut of Salamanca, New York following a long illness. Born on September 11, 1933 in Salamanca, New York she was the daughter of the late Walter and Thelma Tredennick Blocher. She was married at the former St. Patrick’s Church, Salamanca, New York in September 1950 to Mr. Matthew “Babe” Krysick who survives. 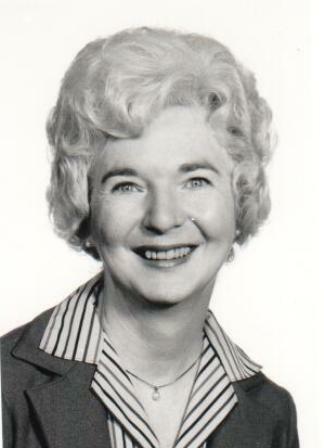 Mrs. Krysick was the former Branch Manager of Fleet Financial Bank, Salamanca, New York prior to her retirement. She was a member of Our Lady of Peace Parish, Salamanca, New York, ZONTA, and the Rotary Club. She enjoyed traveling with her husband. Surviving besides her husband are: a son, Michael (Debbie) Krysick, Great Valley, New York; 2 daughters, Dawn (Mark) Ambuske, Ohio, Lynette (Dennis) Perry, Palm Coast, Florida; 6 grandchildren; 5 great grandchildren; a brother, Donald (Arleen) Blocher, Salamanca, New York; several nieces and nephews. She was predeceased by a brother, Patrick Blocher. Friends may call at the O’Rourke & O’Rourke Inc. Funeral Home, 25 River Street, Salamanca, New York on Sunday from 3 – 6 p.m.
Funeral services will be held in the funeral home on Monday at 11 a.m. with Rev. Patrick Melfi, former pastor of Our Lady of Peace Parish, officiating.